We’re celebrating after winning a £853,800 grant from The National Lottery Heritage Fund. 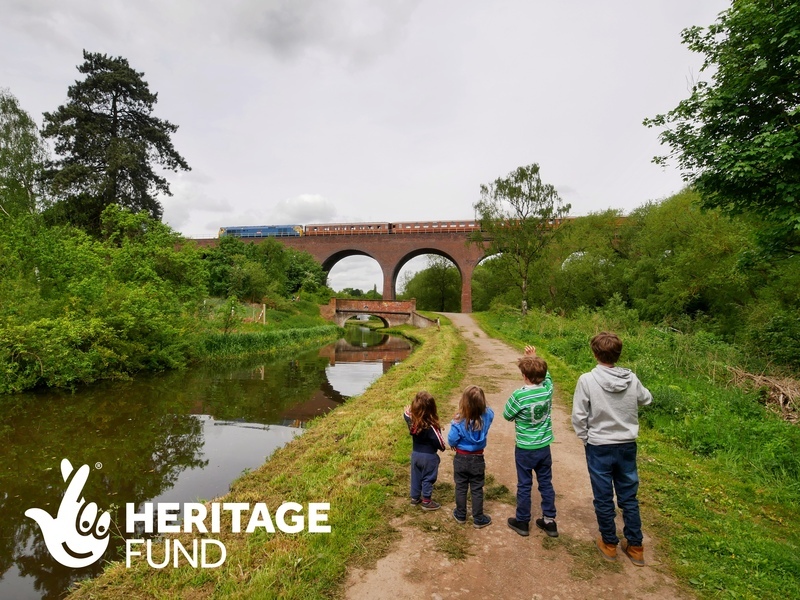 We will use the grant, along with other funds raised, to restore Falling Sands Viaduct in Kidderminster, and to launch an exciting programme of community engagement and exhibitions that will explore the Railway’s early history. Falling Sands Viaduct stands half a mile from Kidderminster station, and is located close to the recently built Hoobrook Link Road and the Silverwoods residential and business development. 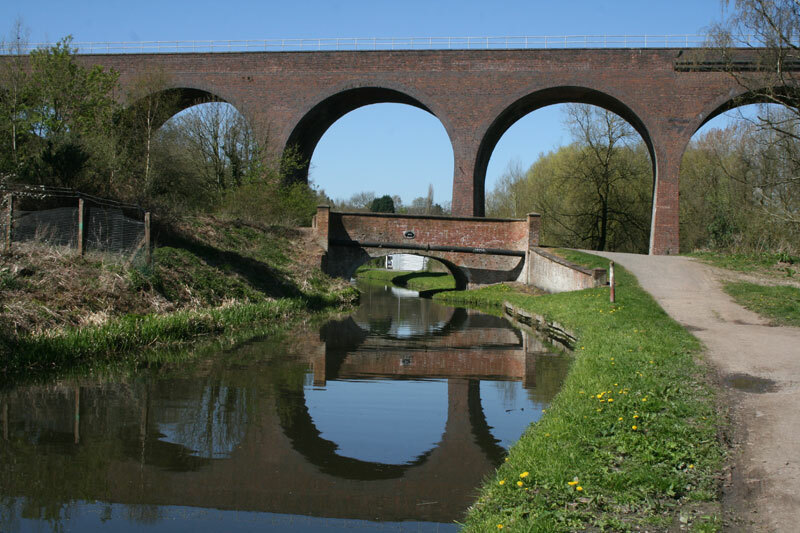 Its impressive seven arches allow heritage trains to cross 64 feet above the river Stour and the Staffordshire and Worcestershire canal conservation area. 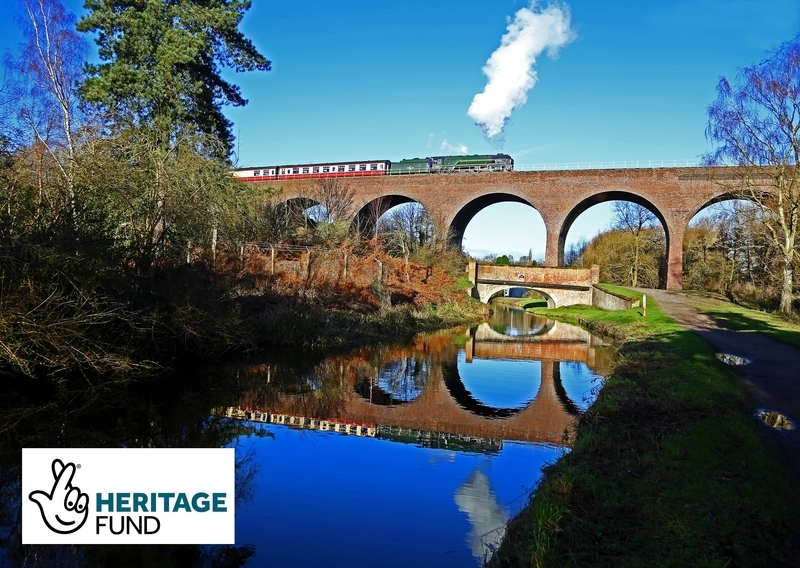 More than two thirds of our annual 250,000 annual visitors begin their journey in Kidderminster, and the viaduct is an essential link between the town and the rest of the 16-mile line. Repair work will commence early next January, and will be fully completed by the autumn. The National Lottery Heritage Fund awarded us a development grant of £71,800 in 2017 for the Falling Sands project. The latest award takes the total amount of its funding to £925,600. ﻿There’s no slacking on the Kidderminster turntable! Thanks to Peter Broxholme for sending us this video. The Railway Magazine is running a series of features about the SVR’s apprentices and its February edition features George Brogan. George is in the final year of his apprenticeship and is based at Kidderminster carriage & wagon. In the article, he describes his involvement with the ambitious project to restore and convert the Charitable Trust-owned British Railways Mark 1 carriage 80776 into the Railway’s first ever dining car, able to accommodate wheelchair users. The magazine’s publishers, Mortons, are sponsoring apprentice training at the SVR, in partnership with the Charitable Trust. Support SVR apprentices. The response to our ‘helping hands for #FallingSands’ donation wall has been phenomenal! The demand was so strong that we extended the sign up opportunity until 14th February. We don’t want to rush the next important stage of checking the thousands and thousands of names, and working with designers to create the wall, so please bear with us. Watch this space for more news about an opening date later this year. Ryan Parsons of the boiler shop at Bridgnorth becomes the latest SVR ambassador to feature in January’s edition of The Railway Magazine. He talks about his work on BR Riddles 4MT 75069, and explains why the loco holds a special place in his heart. As a recent graduate of our pioneering Heritage Skills Training Academy, and appointed to the role of improver boiler smith, Ryan is another strong example of the SVR’s determination to bring new blood into heritage engineering. The Academy receives the majority of its funding from the SVR Charitable Trust, including sponsorship from Mortons, the publishers of The Railway Magazine. Would you consider making a regular donation to fund our future heritage engineers? One of the important jobs we undertake at the Charitable Trust is putting in applications on behalf of the Railway to various grant-making bodies. And we’re delighted to announce a further successful bid. The Ernest Cook Trust have awarded us a substantial contribution towards the Heritage Skills Training Academy, the SVR’s pioneering scheme to train apprentice heritage engineers. In this way, we’re future-proofing the skills we need to restore and maintain our rolling stock. 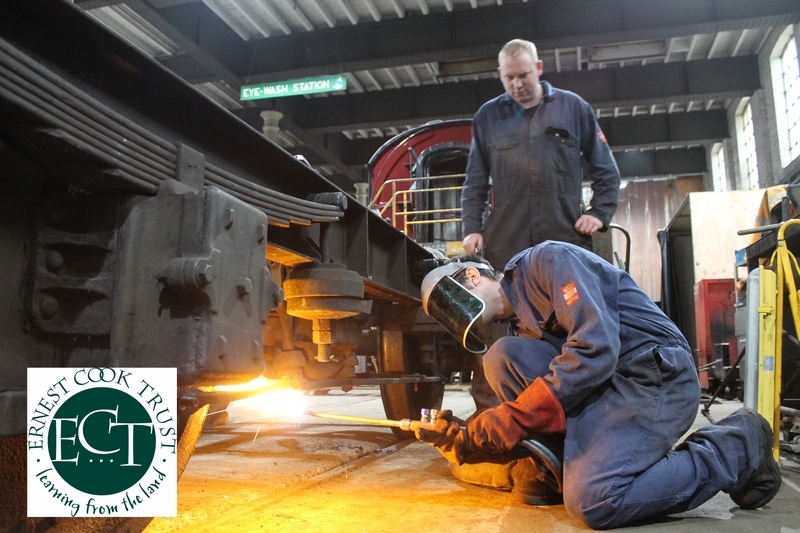 Will you donate to apprentice training at the SVR? What’s the latest on 4390 Hagley Hall? 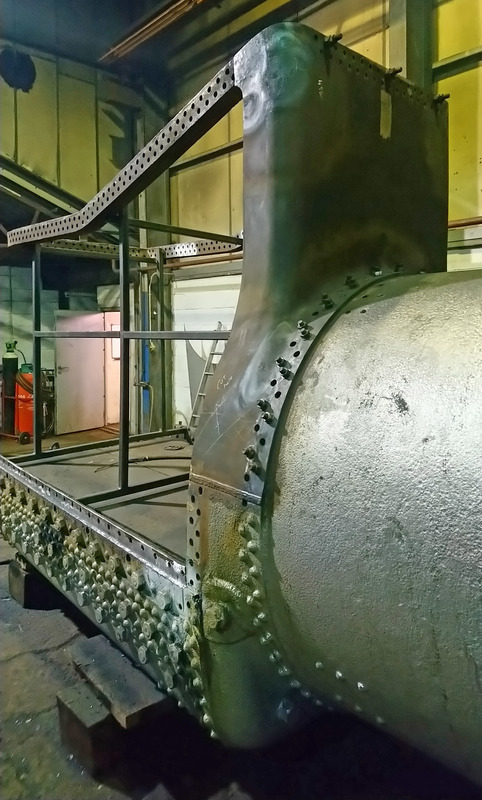 We’re delighted to report good progress on the restoration of the SVR’s flagship locomotive both in-house at Bridgnorth, and at Northern Steam Engineering in Stockton. Volunteers and paid staff at Bridgnorth have been busy cleaning, examining, painting and refitting various parts. On the loco’s mainframe, they’ve refitted the spring hangers with new pins, and replaced and repainted numerous rivets. After cleaning and examination, the bogie frame is now freshly repainted, and looking very shiny! 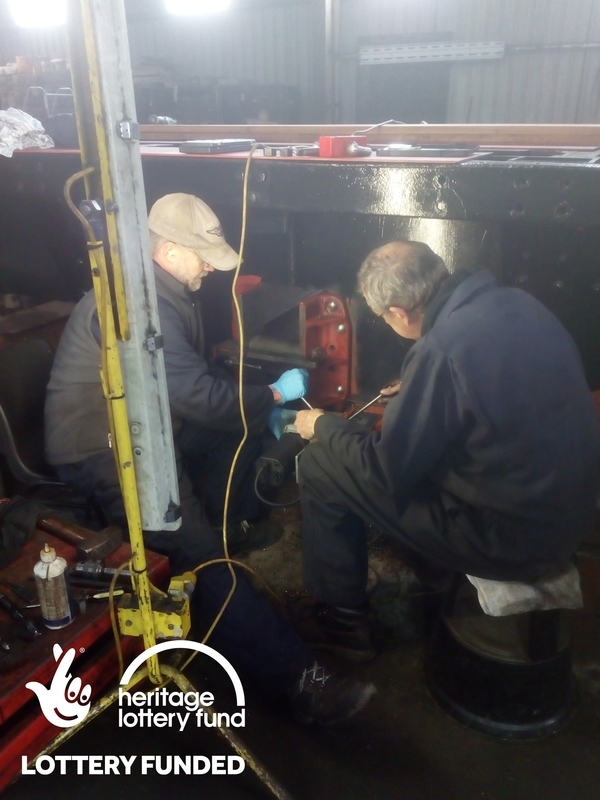 Meanwhile on the tender frame, they’ve refitted all the hornblocks, replaced time-expired rivets, and refitted the trailing spring hangers. Meanwhile, at Northern Steam, work has started on reassembling the boiler, and new plate work is being prepared for welding. Some cracking has been identified in some of the remaining original plate work, and this is being investigated to determine the appropriate remediation. The SVR Charitable Trust was awarded £95,000 from the @heritagelotteryfund towards the restoration of Hagley Hall. We still need to raise more funds to get this important engine back into steam and you can donate now to add your support.